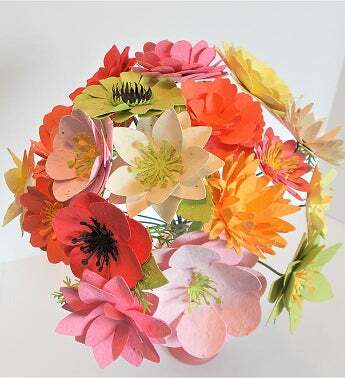 12 assorted flowers made from paper embedded with wildflower seeds in shades of pinks, oranges, yellow and cream. Flowers measure between 1 3/4" and 3" in size. The recipient can plant the paper and grow flowers. The seeds included in that paper are Clarkia, Catchfly, Black-eyed Susan, Snapdragon, English Daisy and Sweet Alyssum. Bouquet arrives wrapped in kraft paper. A bouquet of 18 flowers made from paper embedded with flower seeds. The flowers are a mix of red, pinks, oranges, yellows, green and cream. which measure between 1 3/4" and 3" in size. The seeds which are contained in the paper include: Clarkia, Catchfly, Bird's Eye, Sweet Alyssum, English Daisy, Black-eyed Susan, and Snapdragon. 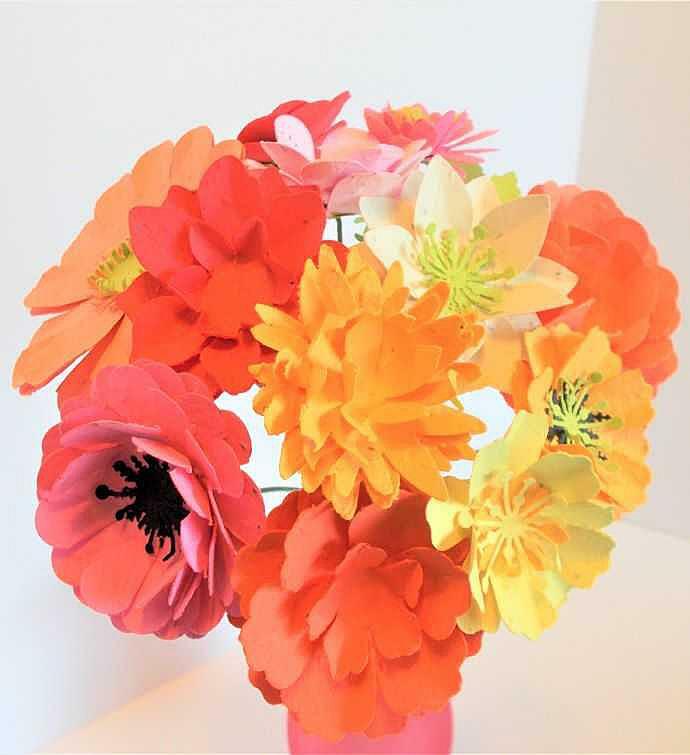 Assorted flowers made from paper embedded with wildflower seeds in shades of pinks, oranges, yellow and cream.